Great post! Reading this brings back a lot of nostalgic memories over some of the greatest Castlevania & Gradius Games I've played over the years. Being a long-time Gradius fanatic (I own 1-5, rebirth, and Gradius Gaiden), it's interesting to see how the series progresses over time. While I agree with your thoughts on the SNES Gradius III, I'll defend that game a little bit. True, it does borrow many aspects that were a tad more revolutionary in the previous game and probably has fewer newer progressions than the leap between I and II was (for a much worse offender on the whole recycled ideas thing, see Gradius IV). Thing is, while it's got great customizability and gameplay, it's definitely NOT a perfect arcade port of the original Gradius III (the Turbographic 16 version of Gradius II was fantastic! Near-perfect graphically as well as soundwise... the music was reproduced to the T!). Apparently, several stages were rearranged in the SNES version, and a few of the originals were completely removed altogether. 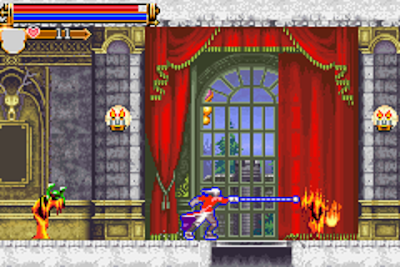 In fact, one of my favorite stages in the game, the ice block stage that assembles itself as you fly through it is nowhere at all on the SNES version! What were they thinking? Also, when I first heard the SNES counterparts of the music, while the tracks themselves are technically similar to the originals, I was greatly disappointed in the changed sound quality in their transition to the SNES. I don't know... something seemed off about them. The tracks all seemed to lack the personality and atmosphere of the original arcade versions. Youtube's got them I'm sure. 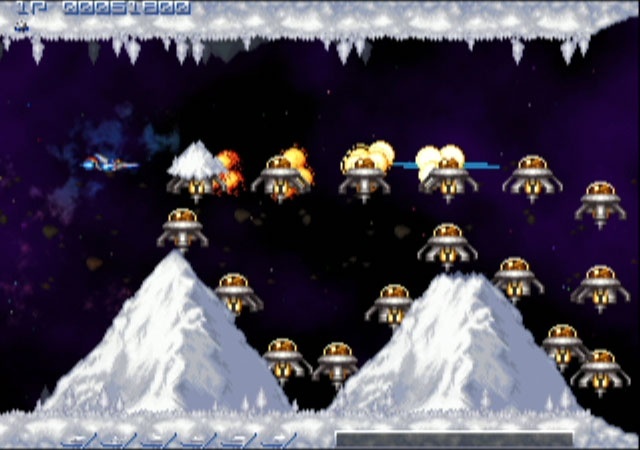 Plus, (and this is just a personal preference) but while the Crystal stage from Gradius II did come first, I actually enjoyed the Bubble stage in GIII a lot more. I found it easier to tell if you were actually connecting the shots to the bubbles as opposed to the ice chunks, and the hit boxes of your ship and the bubbles seemed much more consistently readable than the often unfairly and poorly designated collision areas the ice blocks would plod around against. I don't know... Might just be me, but I found the bubble stage to be a worthy improvement over the crystal stage. 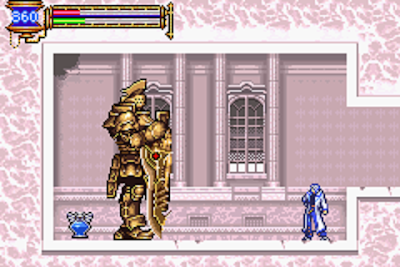 Plus, I found there to be a better variety of enemy-based challenges in the bubble area. 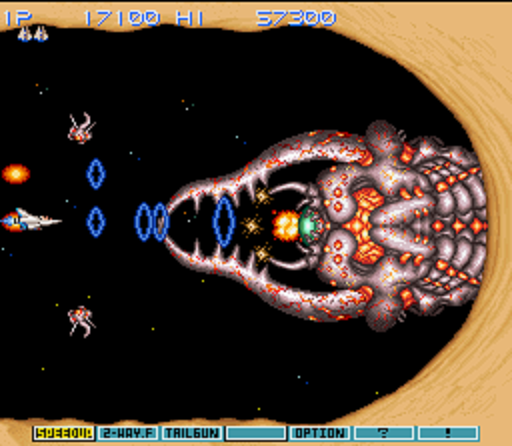 I do love the crystal boss better though... very worthy challenge of a Gradius boss! And I will definitely say the multi-screen alien 2nd stage was much superior to Gradius III's underground cave. Very cool and reminds me a lot of the Alien movies! If you have a PS2 (or know someone who has one), see if you can find a copy of the Gradius III & IV collection. It's got the arcade perfect port of Gradius III (with the addition of being able to select your difficulty like the SNES version). It probably won't change your mind overall on Gradius III, but it may be interesting for you to see for yourself what all changed in its translation to console. I've found that most Gradius fans I knew over the years that bought the games only had access to the SNES version for a long time (since the arcade version was never released here). So coming from that standpoint, most will probably find nothing wrong with it. Either that, or it'll wind up being more nostalgic for some. 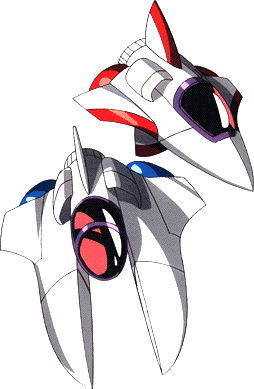 I ended up buying Gradius III & IV collection first and then the SNES Gradius III much later, so that's where I'm coming from on my thoughts. All that said, my personal favorite Gradius games are still Gradius II and Gradius Gaiden (rare find, but well worth it... this one worthily builds on the challenge and innovation precedent that II and III set... plus it's got a cool snow stage with awesome music!). 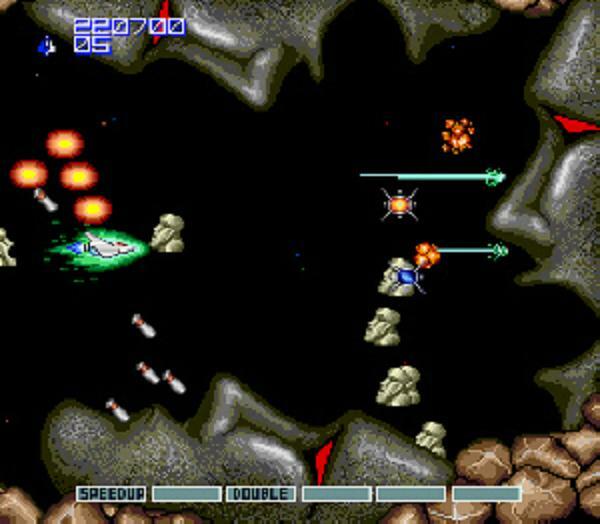 As for Gradius II, that game just has that something special about it, and it's difficult without being too frustrating.